The Classic Army Nemesis Line has redefined what a premium AEG should be. The Classic Army Nemesis debuted in the airsoft world in late 2016. Today, we’ll be looking at how the Nemesis started and where it is today. Classic Army has been around for over 25 years. They were one of the first companies within the US. Classic Army is known for making the first production Full Metal guns. Previously, you’d purchase a base gun, purchase a Guarder, Hurricane, etc. receiver and swap everything over. Classic Army flipped the script and allowed you to purchase a high-quality metal body gun straight from the factory in a time when that was impossible. Their story began with innovation, and this common thread follows them through every year of their existence. Classic Army reset the standard many years ago and they’ve done it again. In mid-2016, they released the Scarab and started redefining premium airsoft guns. The Scarab was a unique design that retained M4 familiarity but with fresh aesthetic twist. It retained the same fire controls, bolt catch, and magazine release as an M4. What made it different was the one piece upper and unique PDW styled stock. When it was held, you could feel how robust and rugged the Scarab was. Just from holding it, a user could tell that this gun would last through abuse. Some might say it was a little heavy but that didn’t stop players seeking performance. Internally is where the Scarab truly shined. It featured Classic Army’s brand new Electronic Control System Trigger Unit (Or ECS). The ECS is a digital trigger that allowed for programmability and near instant trigger response. It wasn’t the first digital trigger, but the ECS didn’t require a separate module to program it. The Scarab features a 6.03mm barrel and a metal rotary hop up unit. This allows for great range, accuracy, and consistency. The gearbox comes heavily upgraded as well. 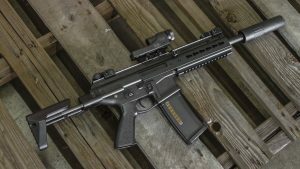 Featuring a full metal rack piston, 9mm bushings, and ultra-torque gears, the Scarab also features a true quick-change spring guide. Remove one pin, slide the stock off, and you have access to your spring guide. 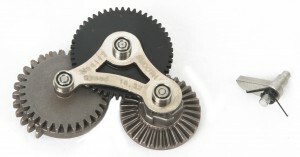 With the ultra-torque gearset, the Scarab was capable of pulling back a 150 spring. This gives the end user the option to make a high FPS build with minimal effort or tech knowledge. The only downside to the gun was the rate of fire, as with such a high torque gear set, you could pull a heavy spring but you couldn’t do it very fast. With the success of the Scarab, Classic Army wanted to bring the same performance to their M4 Line up. With a few adjustments to their Proline M4’s, the Nemesis Line was born. They made the buffer tube threaded, instead of pinned in place with a washer and screw. This allowed for a true quick-change spring guide. Before this change, as most brands do even now, the gearbox has to be removed to change the spring. Classic Army also stuck with a PDW stock to make their model stand out. Compared to the Scarab, the battery compartment was much easier to access in the Nemesis as you no longer needed to remove screws to reach your battery. The Nemesis Line featured four new rail designs in a variety of lengths. Every Nemesis also included a new motor grip that was easy access. 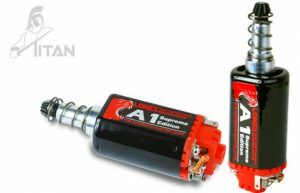 Motor swaps and motor connector checks have never been easier. Originally, the Nemesis internals were the same as the Scarab though, which meant you still maintained the rate of fire issue from the early models of Scarab, but Classic Army’s history of innovation came through to take care of that too! Just like any other brand, the Nemesis Line wasn’t perfect in its first generation. Classic Army took information from airsmiths, retailers, and players themselves on how to improve their newest creation. After taking in all of the advice and recommendations, Classic Army made a few key changes. The biggest issue being tackled was battery space. They removed the PDW stock in favor of a standard buffer tube design, allowing for more customization and battery storage solutions. Due to the design of the PDW stock, it also lightened the gun substantially. Classic Army also switched from a metal hop up unit to a polymer unit, which allowed for a better seal between the nozzle and the hop up unit. 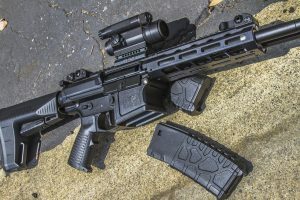 This meant that Nemesis guns could function at the same performance levels as they used to, with lighter springs, and more consistent feet-per-second ratings, ultimately increasing performance and reliability exponentially. 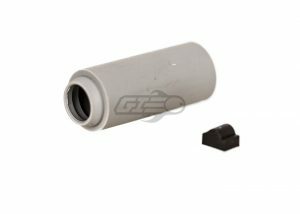 This had an added benefit of helping correct the rate-of-fire issue as well when combined with upgrades to their thirty-one thousand RPM motor as a standard part in the Nemesis lineup. 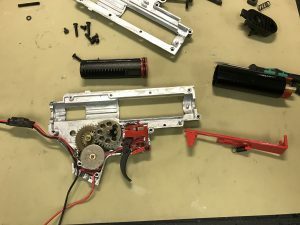 Before the next wave of new gun styles hit the market (more on those later), Classic Army made another update to the Nemesis Gearbox. Opting for an 18:1 gear set and stronger magnets in the 31k motor, the new parts paired with the ECS to give the Nemesis line an even better trigger response than it already had. These updates have become standard for any rifle to bear the Nemesis banner, including some of the new-comers to Classic Army’s lineup for 2018. The ECS was originally only featured Classic Army’s highest-end Lines. 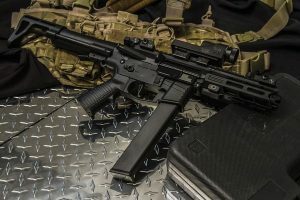 Classic Army, once again sensing an opportunity for innovation, decided to install the ECS into their highly popular Skirmish Line of airsoft guns. The Skirmish Line was already neck and neck with the best starter guns available, but with the addition of the ECS, it rose to the top of the class. Following the start of the ECS Skirmish Line, Classic Army announced 2 guns that were in production, The DT-4 and the X9, both featuring all of the same internals as the Nemesis Line in two new designs. The DT-4 is a double barrel M4 with 2 separate barrels and magazines. Both, of which, are powered by one gearbox and one motor. You’ll be able to send double rounds down range in a still manageable package. Due to its unique design, it doesn’t suffer the same downsides as other systems either, as when one magazine runs into an issue such as a jam or running out of ammo, the second barrel and magazine set will feed with no issues! Couple this with the ECS and you can get lightning fast six or ten round bursts down range! The X9 is a 9mm Pistol Caliber Carbine design with an incredibly compact front end utilizing the manual of arms of the AR-15 style of rifles. Classic Army has stepped back into the CQB game, with this compact corning cutting beast. Featuring CNC Wire cut gears and a built-in amplifier at the muzzle, it is not only reliable, but packs a bark as loud as it’s bite. The ECS becomes a major factor here as well, as the microswitch style trigger it employs, coupled with its ability to lock the gun into a semi-auto only mode means that you never have to worry about accidentally hosing your friends-turned-targets and get your shots off as fast as you can pull that trigger! Classic Army has announced a new PDW Style M4 for 2018 as well. 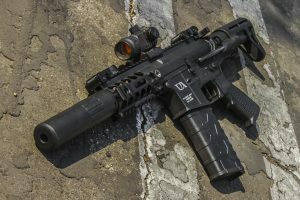 Featuring a similar stock to the X9 and ECS Skirmish Line internals, The AR4-SBR is a unique compact M4. Classic Army is installing their ECS Trigger into several other different models of guns too. A working prototype of the M110 featuring the ECS Trigger has already been produced and spotted in the wild. Representatives from Classic Army have talked about bringing the ECS to several models previously only loaded with the pro-line internal components. Currently there are no other confirmed models with the ECS that the Classic Army representatives were willing to go on record with but, regardless of which series gets it, it’s sure to be a welcomed addition to the Airsoft Market. 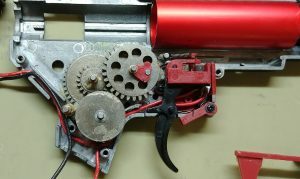 The ECS Trigger started in a small section from Classic Army, originally intended to be a niche product to be iterated on and improved over time. Not only has it redefined premium AEGs, it is quickly redefining the standard for internal parts quality. I doubt it will be long before other manufacturers follow Classic Army’s innovative example. They set the standard for external parts in the 90’s with their initial releases of metal bodied guns. Now they have pushed the envelope and set the bar even higher for what we as consumers should expect in our internal components as well. That is where you bring your friends along for the ride! Now that’s always easier said than done. We’re here to help with getting your friends into Airsoft! Airsoft is pretty much a fashion show. We go to a field and half the fun is seeing all the different kits. Whether it’s their guns, rigs, helmets, you’ll almost always see something new. The same thing that would peak your interest could also peak your friend’s interest. Show them their go to gun in the video game you play together. Show them people that build their kits around a military/law enforcement unit. Just showing them something, can be the push that convinces them to try Airsoft. Airsoft gets your heart pumping really quickly. With the high stress movement, you’re getting great cardio. You’ll find yourself having ran a few miles by the time the day is over. Depending on your kit and gun, you could be carrying an extra 20lbs of gear. A small amount of strength training but definitely a good leg workout. There is a ton of squatting, moving, and manipulating your body to be in position. 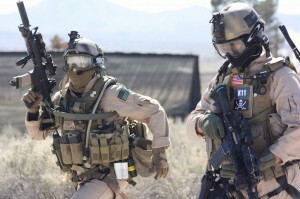 The Airsoft Community has been growing bigger and bigger since it’s come to the US. 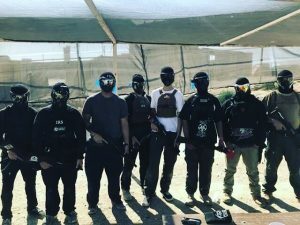 I started Airsofting with a handful of friends. 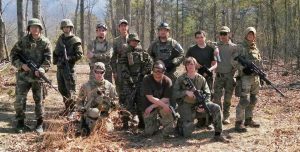 Since then, I’ve met pretty much everyone I play Airsoft with through the community. I find myself hanging out with them off of the field as well. People I’ve met at fields, work within the industry, or regulars from the store. You meet a lot of people with the same interest as you. It’s very easy to make new friends through our Community.